A friendly reminder to use your qualified Flexible Spending Acct (FSA) or Health Savings Acct (HSA) funds before the end of the year! Some spending account holders have use-or-lose-it rules with funds that expire December 31, 2018. Don’t miss out. 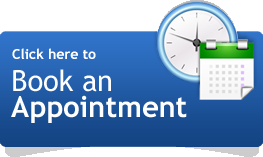 Reserve an appointment today and receive your eligible benefits. The month of October is Eye Injury Prevention Month. And in its honor, we’ll provide a few helpful Halloween Eye Safety Tips for your kiddo’s night out trick-or-treating.